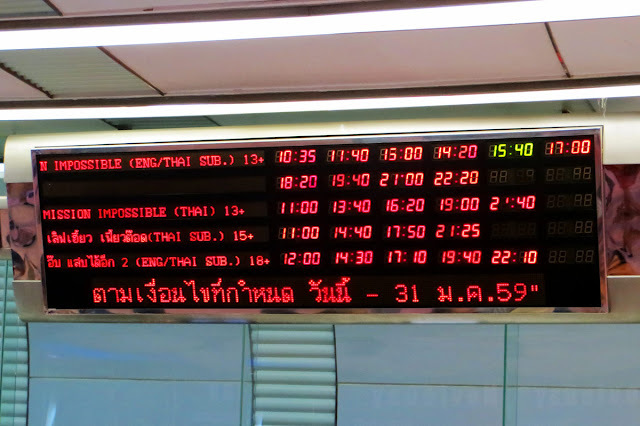 The return to Bangkok, the final days of our trip. 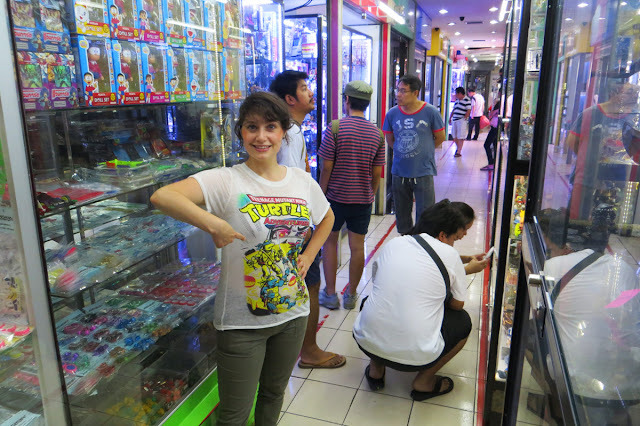 Time was of the essence - the moment was here to pull out all the stops in my search for TMNT toys. But after clocking 12 uninterrupted days into this journey, the nonstop action had us running on fumes. Before the final hunt began, recharging our batteries became the top priority. A trip to the movies was our solution. This would allow us to comfortably rest our feet and enjoy the chill of air conditioning while still experience a slice of Thai culture. It seemed like a surefire solution to rejuvenation. 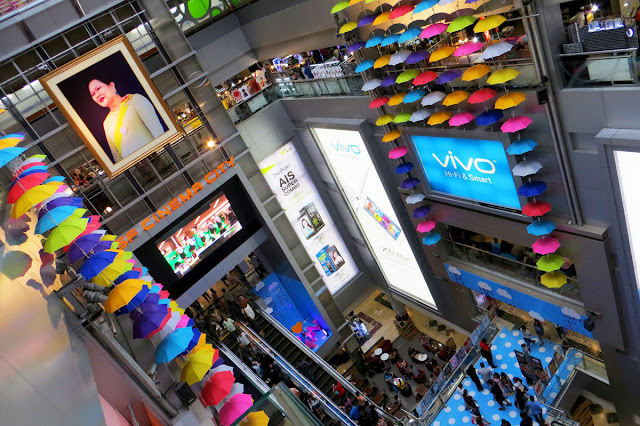 We squeezed into MBK - a gigantic tourist-riddled shopping mall with 7 levels of mayhem. The entire world seemed to be spending their cash in this overloaded, zoo-like place. Hordes of people mobbed stores and clogged the corridors. We zipped through the nauseating crowds to the top floor, where the theater was located. My favorite part of the international cinema experience is selecting seats. When purchasing tickets, you also choose your seat. It's a concept that eliminates the mayhem. No need to arrive at the theater early or stumble in the dark looking for open seats. 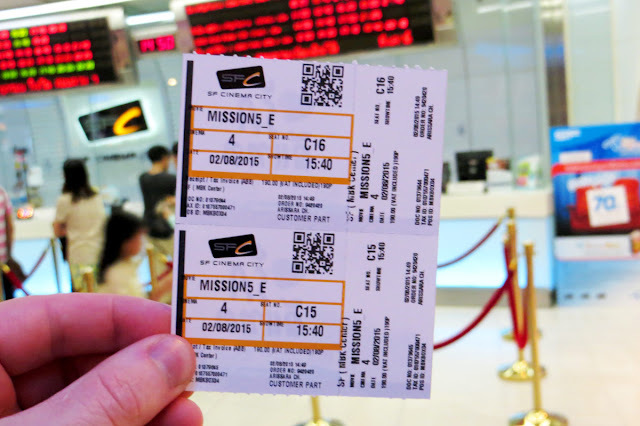 Using our sad Thai communication skills, we selected seats and bought tickets for Mission Impossible: Rogue Nation. We settled into our seats, happy to be rooted in the cool theater with no agenda for the next couple hours. The usual onslaught of mindless trailers and ads began. Tossed in the mix was an honorary tribute to the Thai king, where the audience is expected to stand - a cool cultural reminder that this Tom Cruise flick is playing in a foreign country. Feeling revived (and thoroughly entertained), we exited the theater, shuffling through the crowds of MBK once again, eager to leave before the place stole our renewed optimism. 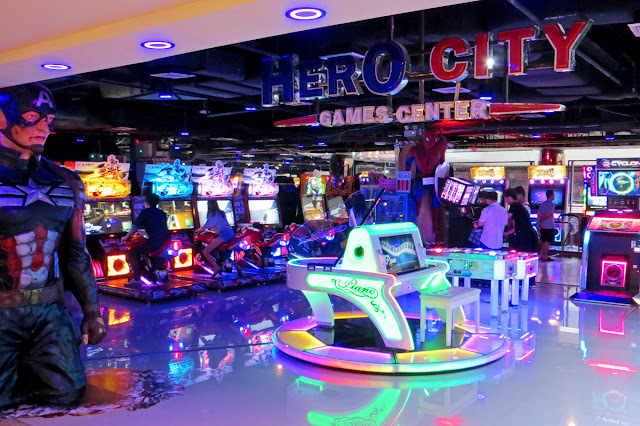 As we made our escape, something made Jess' Spidey-Sense tingle from a nearby arcade inside the mall. Despite my strong hesitation, she urged us inside. That's when we bumped into a familiar face...a HUGE familiar face. This enormous face belonged to Leonardo from the 2014 movie - a fellow New Yorker! Say what you will about the film itself, but this hefty creation is cool. Giddy as can be, we fell into a comfortable bliss, snapping pictures and striking poses. Measuring an impressive 8 feet tall, the leader-in-blue bust was not only an obvious photo opp, but a possible omen. 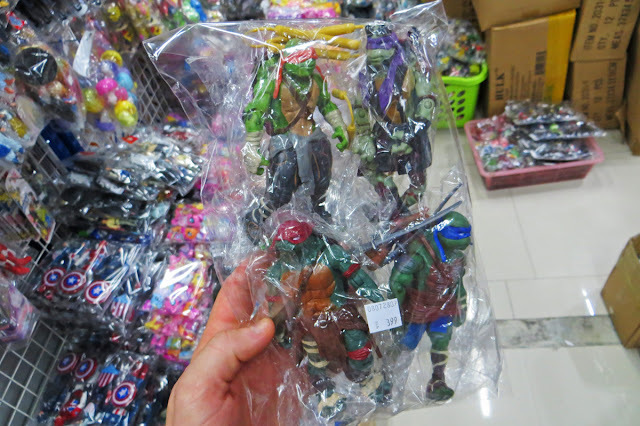 Did this mean more TMNT existed in Thailand? The next day was our final day. Do or die, baby. We hailed a pink cab and headed for Chinatown, the epicenter for all curious things in any city. In broken English, our driver asked, "Why do you want to go there?" This was clearly not a typical destination for most western tourists. I replied with an enthusiastic, "Toys!" But, my response didn't ease the perplexity. People swarmed the Chinatown area, flowing through the compressed streets. Like every other space in Bangkok, there were stands and carts serving food, sending simmering aromas into the air. 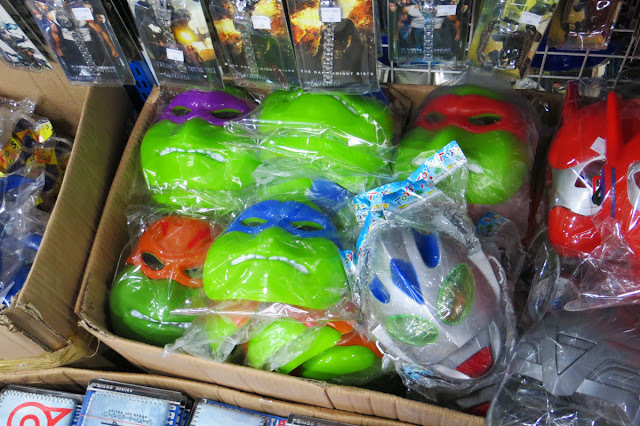 But unlike other spots in the city, Chinatown had something different in its arsenal - TMNT goodies. 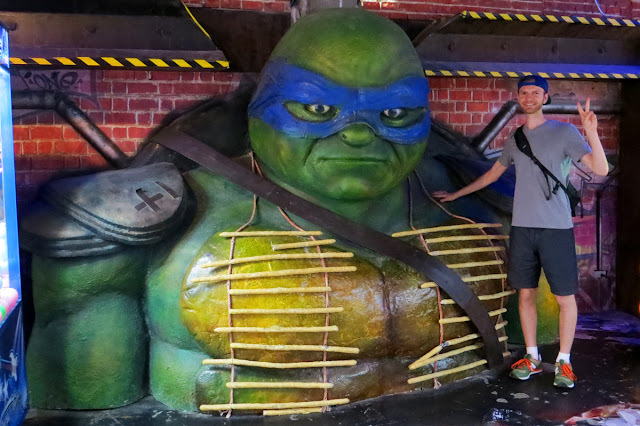 Indoor stores, outdoor merchants - Turtle Power finally surfaced. And it was everywhere. I was uncovering a stockpile of mutant merchandise in this cramped district. Enthusiasm was rising, momentum building. 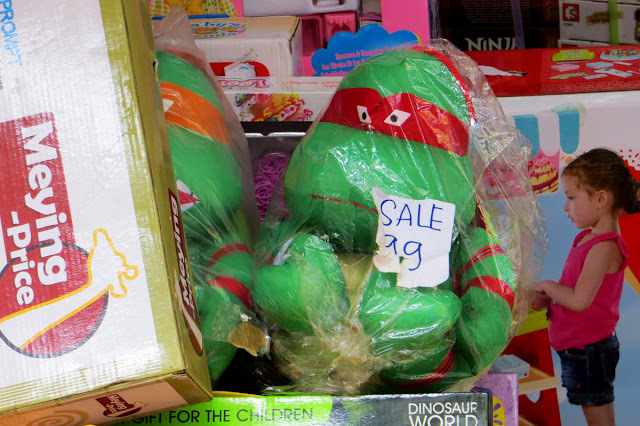 I was about to burst a "cowabunga" into the streets of Chinatown, but then a familiar feeling returned. Deja vu hit. Each item had a glaring oddity that verified its inauthenticity. From poor craftsmanship to terrible titles, the deception was everywhere. The only silver lining were the price tags. Each item was marked with an incredibly low price. Flex your haggling muscles and you could walk away with a slew of super-cheap, knockoff gear. 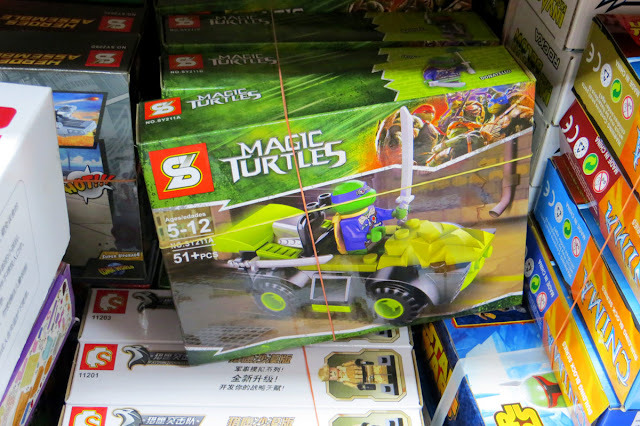 Though items like "Magic Turtles" were strangely enticing, I opted not to make any purchases just yet. 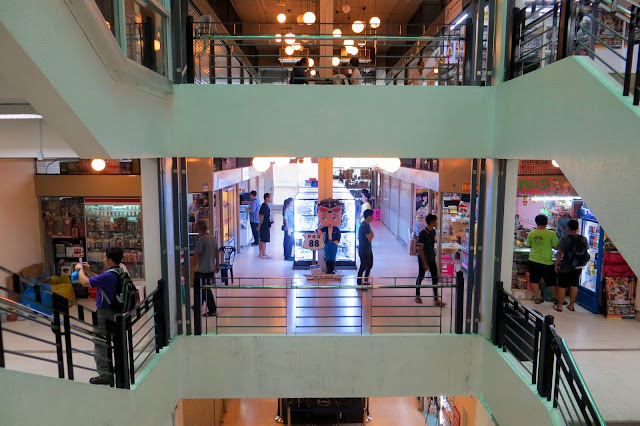 After a few Chinatown pork buns and terrible-tasting coffee, we navigated to the nearby Always One - a multi-story community of Japanese-inspired toy stores. Optimus Prime greeted us as we entered the mall. The mall was desolate. Many of the vendors were closed, with their metal, garage-like gates drawn. Those that were open had their merchandise displayed in their tiny, cell-like stores. A few people roamed the leftovers, looking bored and disinterested. The place felt like an eventless night at a hospital, once visitors have been shooed away. 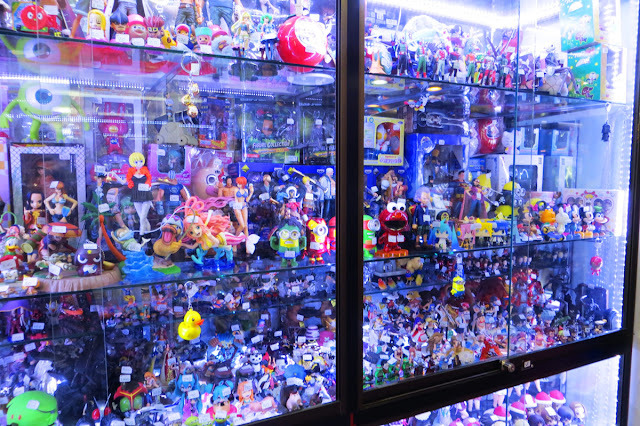 One area had an extensive supply of collectibles in rows of glass cabinets. 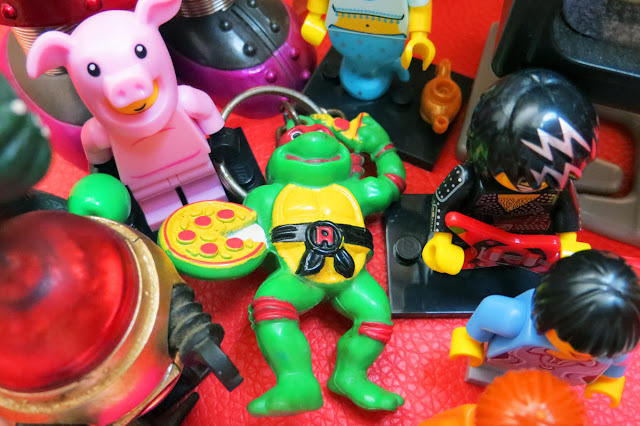 I hoped to find something, anything, of the Mutant Turtle variety in this pile of treasures. But, no luck. Nothing - not one thing. We walked passed Optimus Prime, not saying goodbye, and exited Always One in silence. 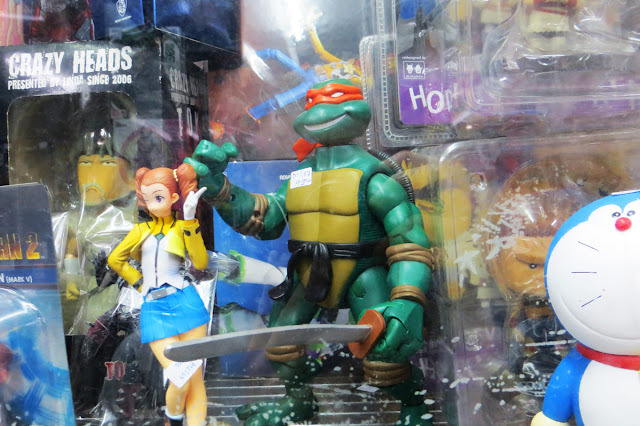 Maybe it was time to raise my white flag and admit defeat in this Thailand TMNT toy quest. Hope was lost. But, my ambition was tenacious. New levels of determination had been harvested. I refused to go down without a fight - foaming at the mouth for success. A fire ignited in Jess too. Together, we embraced the strong spirit of toy hunting. 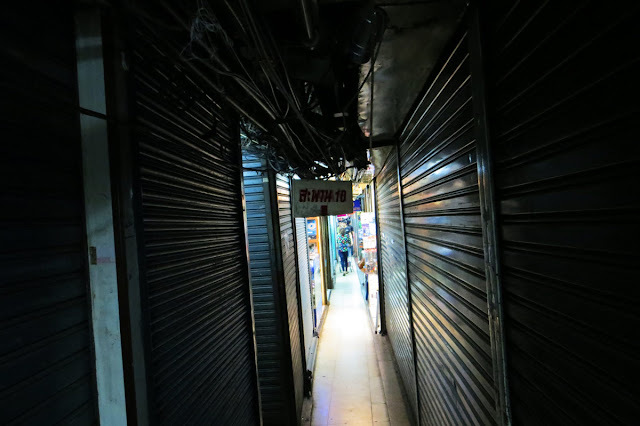 We marched through the back alleys of Chinatown, guided by the frenzy of our conviction. Eventually, it led us to this door. The entrance was ordinary, nothing special. If anything, it was creepy - bleak and isolated. We saw a shady fellow exit the door, a load of toys tucked beneath his arm. By walking through the door, we were transported through a portal of blue light into the unknown. The vivid colors were soon swallowed by darkness. A series of overhead wires and piping served as a compass down the shadowy corridors. People stirred in the distance. A blend of anticipation and uncertainty swelled inside us. Where the hell were we going? The darkness gave way and this world was revealed to us. 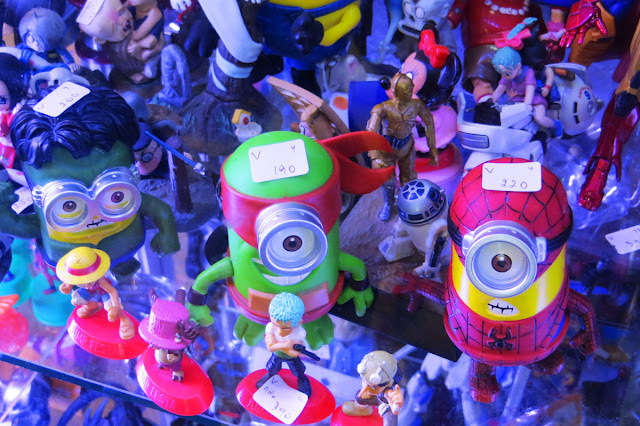 A lawless, subterranean toy market. The window-less maze was an incredible plunge into crooked chaos. Boxes were stacked from the grimy floor to the dust-coated, wire-exposed ceiling. Merchants lingered close to their unconventional stock. Bags of toys, ancient videos, funky clothing, and even weapons were on display. A suspicious man sat behind his counter, fixing a pyramid of Playstations with a small screwdriver, indicating services were offered down here too. We allowed ourselves to get lost in the outlandish labyrinth. The deeper we delved, the more interesting the place became. Our eyes became enveloped in visual curiosities! 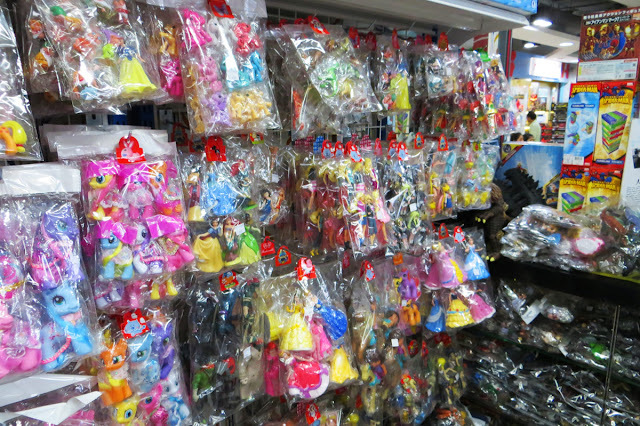 I immediately became fixated with these generic packs of what looked like used toys, clustered together in clear plastic, like action figure goodie bags. The generic packets lined the walls and filled boxes that sat on the floor. 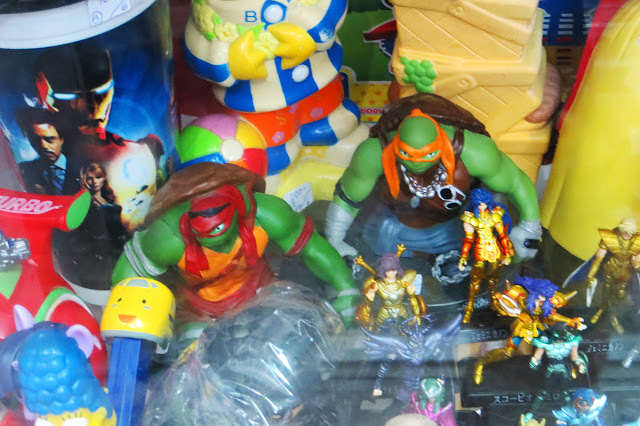 An abundance of TMNT toys were surprisingly here too. I sifted through dozens of these unbranded bags. There was no rhyme or reason to their contents. 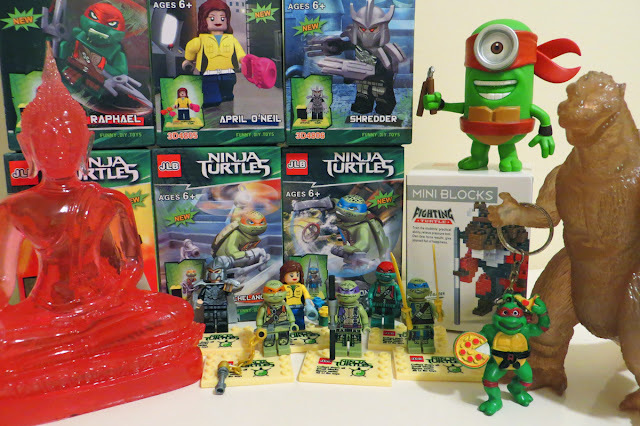 TMNT figures from the movies were paired with others from the cartoon. 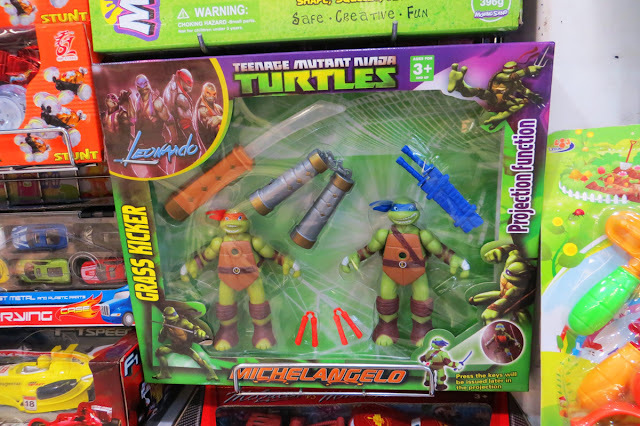 Bootleg toys would be found with officially licensed products. The randomness had me scratching my head. I let the conundrum be and continued exploring the jungle of underground toys. More scouting led to an evolution of bootleg discoveries. In the beginning stages, I found cheap plush toys and fake Lego sets. The typical tourist would find this place repulsive. Its seedy setting and paralyzing inventory of clutter acted as protective shield, keeping them far, far away. But, those people were missing out! The market was truly captivating. A sunken, out of sight museum of junk that lived and breathed the spirit of Bangkok. Our sense of direction was dead. Lost in the confusing corridors, we eventually landed upon an oasis of toys. The sleaziness of the unkempt market faded as rows of alluring glass cabinets surrounded us. They were brimming with intriguing collectibles. 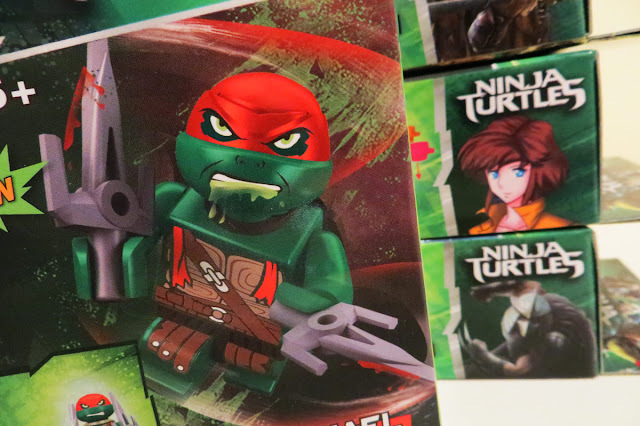 Searching for TMNT items within the displays became a fun challenge. 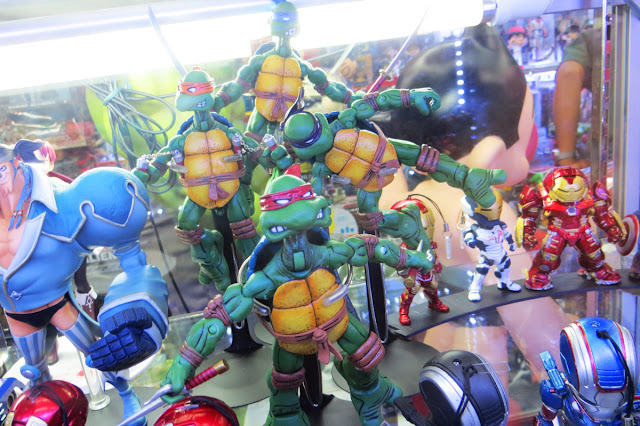 Even with my superior toy hunting skills, scanning the of mound of collectibles for Turtle Power was an impossible task for one person. I'm glad Jess was there to help sniff out the plastic jewels. We ended up discovering quite a lot. Sets of bootleg Lego mini-figures. 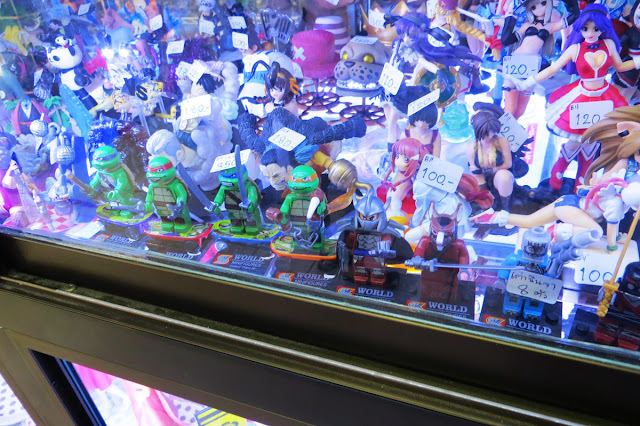 The TMNT Kid Robot collection. Legitimate, licensed figures from the US (without proper accessories). 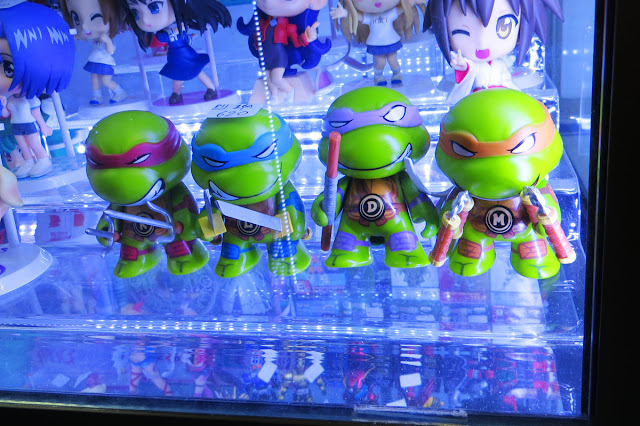 Cup toppers that were available when the 2014 TMNT movie was released in Thailand theaters. 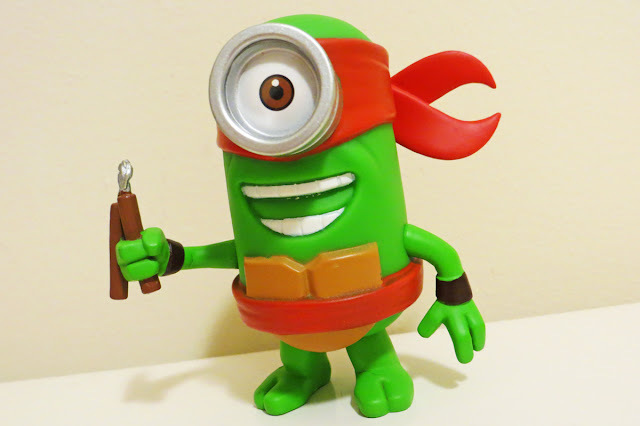 And finally, an absurd Minions mash-up. 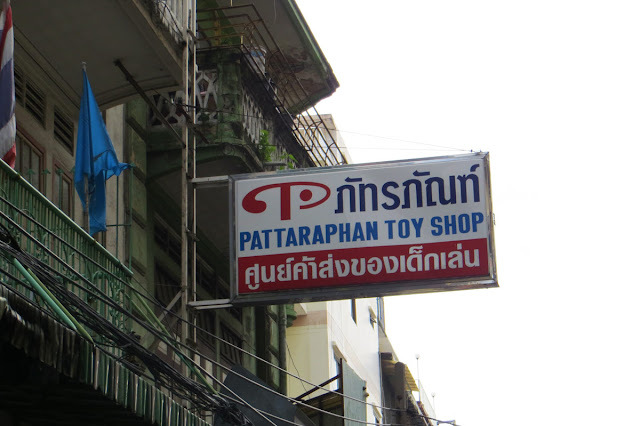 The goofy figure captured the essence of Thailand toys - bootlegged and nonsensical. I laughed, thinking how this prized-piece of junk would clash with my collection. With a little bartering, I scored the idiotic guy for only a couple bucks (it certainly wasn't worth more than that). This silly Thailand toy would travel oversees to his new home in The Sewer Den. The Mutant Minion was the bait that hooked me. Temptation to buy more bootleg toys was becoming too powerful to fight off. 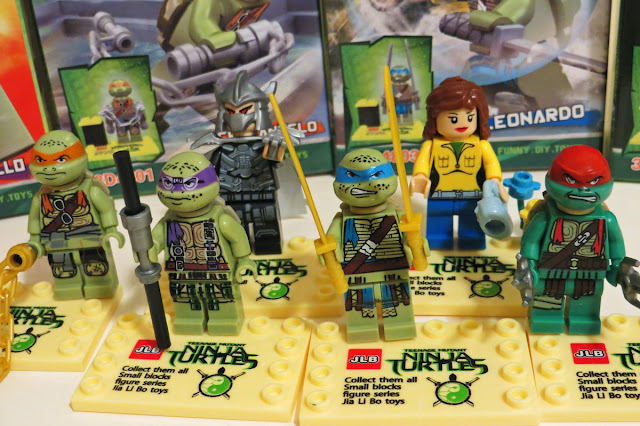 Eager for another TMNT souvenir, I surrendered to the enticement and scooped up a set of JLB mini-figures from the 2014 movie. JBL isn't a Thai word, but it pretty much translates to "fake Legos." The artwork on the package was unreal. 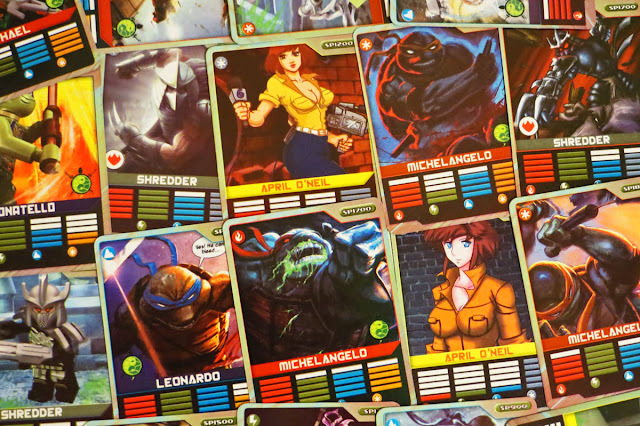 All 6 designs had unusual depictions of each character. An anime April and Raphael foaming at the mouth? The entire set ran for 100 baht (3 dollars!). How could I ever regret this purchase?! Freaky things awaited me inside these boxes...I could feel it in my bones. I plunked down the cash and immediately tore them open. Inside each package, I was greeted by flimsy, plastic pieces and incorrect colors. All of the mini-figure were off in one way or another. Very Lego-like in shape, but lacking quality everywhere else. But again, for three bucks? No complaints. Finally, the freaky reward I was hoping to find - and it came in the form of playing cards. 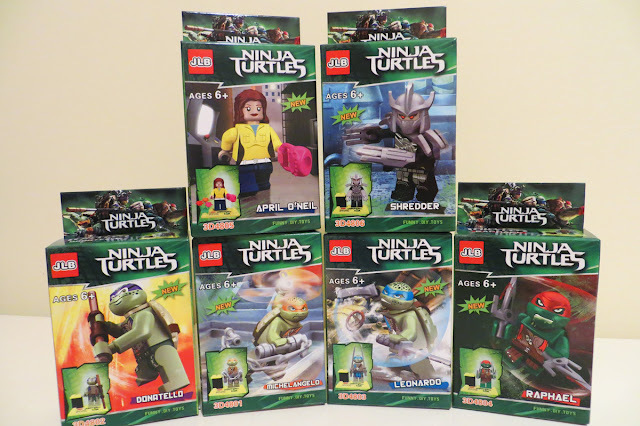 Each mini-figure included a set of 3 - specific to that character. I shuffled through them in an uncomfortable awe. The artwork was out-of-this world weird! What the heck was happening here on these Thailand-purchased toys? I studied each card for ages, a tad confused, slightly disturbed, but mostly delighted. Tearing my gaze away, I stuffed the bootleg set back into my bag and continued through the market. After more and more roaming, a green sliver of plastic caught my eye and brought me to a stop. It was fenced in by an army of legitimate Lego mini-figures. The vendor unlocked the display case and I fished out the unknown object. 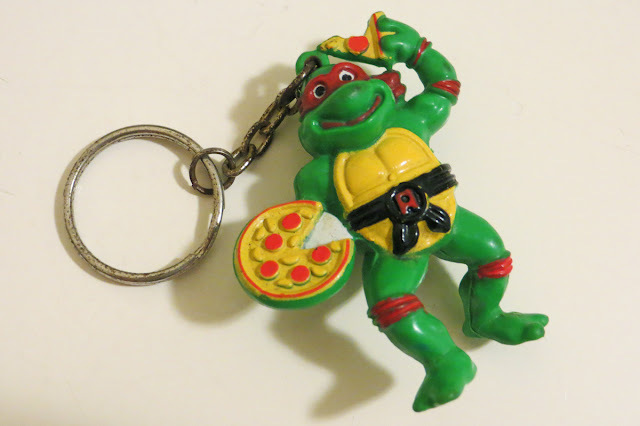 My intuition served me right - a Japanese TMNT key chain from 1994 dangled from his finger. The foreign piece of Turtle Power was an obvious purchase. I had bought a Leonardo version of this keychain when I had previously visited Japan. The combined duo now represented my two very different, but equally awesome exploits in international toy hunting. 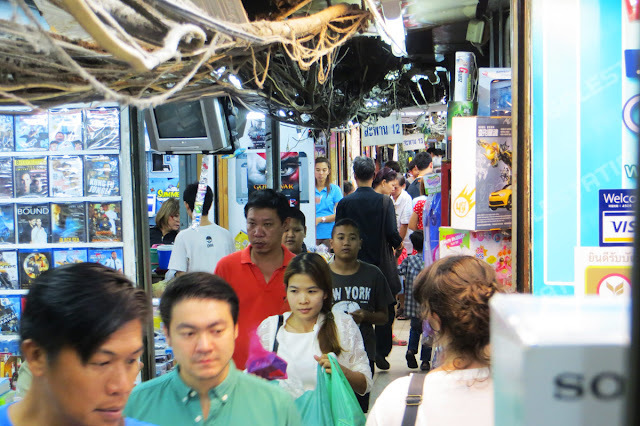 After swirling around for hours in the recesses of the market, we eventually were spit back out into the streets of Bangkok. Despite roaming in darkness for so long, we glowed of success. 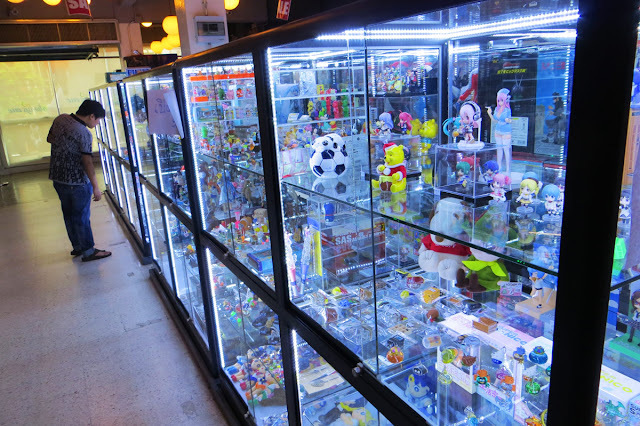 Thailand offered a new breed of the toy hunting experience. The discoveries weren't always awesome, but that had only elevated the thrill of the pursuit. It pushed us in unexpected directions and led to peculiar destinations. From the dreamlike night markets around the country to the hidden merchants in the Bangkok's basement, I loved every moment of it. These memories (and toys!) are my traveling trophies. In addition to my TMNT finds, I also scored a pink Buddha ornament and a translucent-pinkish Godzilla. Vibrancy flowed through Thailand, and these 2 souvenirs reflected that. Battling the language barrier, trusting strangers, purposely wandering into abnormal places - avoiding tourist traps can be exhausting. Our trip was dictated by getting off the beaten path. And it's worth the energy for the authentic, rewarding experience. But sometimes, you need touristy fluff. The silly stuff locals laugh about. After 2 long weeks of bona fide culture and relentless toy hunting, we wilted into typical tourists. 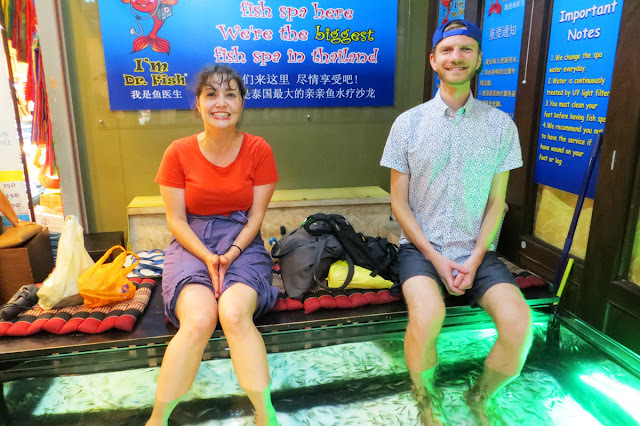 We rested our tired, touristy feet into clear pools of fish-filled water. Locals smirked as the little critters nibbled our overworked toes and made us giggle. The tickling sensation was much like this trip - at times soothing, often comedic, and always weird. 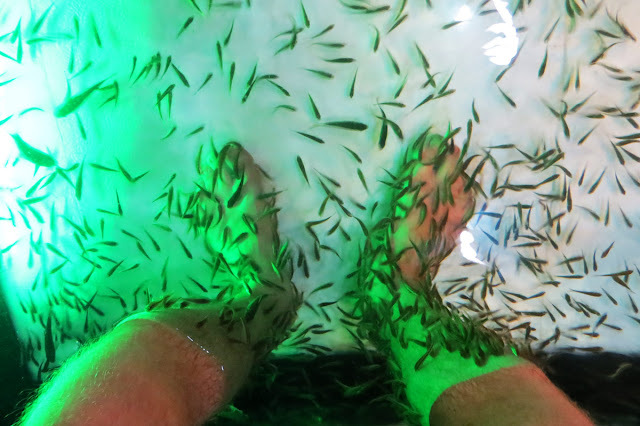 Thailand is a country where the normal thing to do is plop your feet into a tank of hungry fish. Dare to shy away from Thailand's normal and you'll discover an alternate universe where the bizarre flourish. A universe where immersing yourself with roaming elephants, chaotic motorbikes, and unorthodox toy hunts are considered a vacation. Through my travels, I've coined a saying to described the world. and Tokyo holds the future." After this trip, I've decided to revise that. 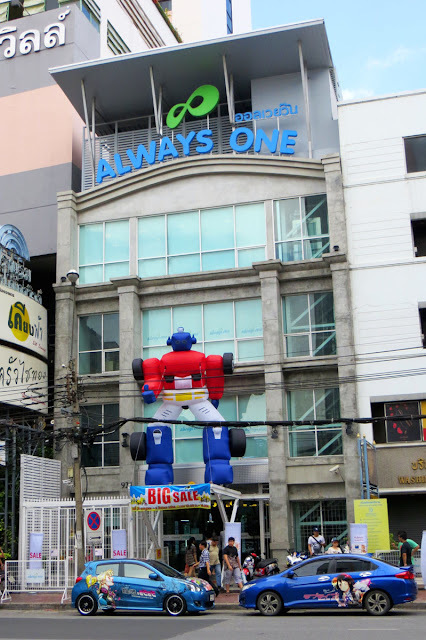 and Thailand is Dimension X." Love this post, so cool to see how the bootleg market works half way around the globe! Favorite of the series. I love seeing the bootleg stuff. It's amazing to think that stuff is being produced in such numbers. It also gives you more of an appreciation for the authentic toys - Lego especially. Just reread this for the second time and it's great so much of this content is going to help me on my adventure to Japan in seven months. Perfection! This was so awesome. The way you captured your experience was so refreshing. Great pictures! I would have died in that toy bootleg market. Looks like so much stuff to look for. So awesome. Really great three part series! Thanks for sharing this with us. Thank you so much for the kind words! Glad you enjoyed the series. Traveling is so fun - especially when you get to hunt for toys in weird places and then write about it later. I wish I could've brought home bootleg souvenirs for everyone on the internet! 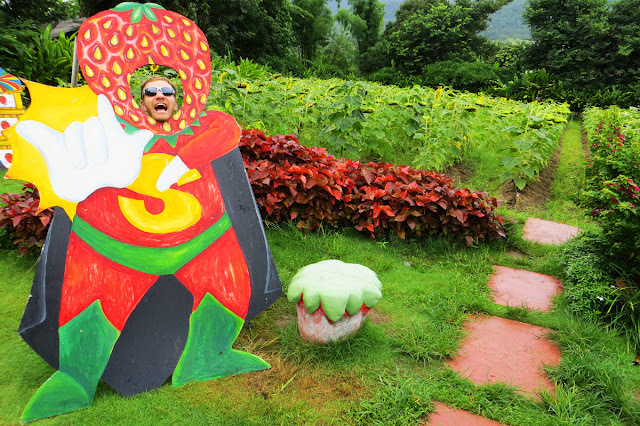 very nice post thanks for sharing --going there soon for treasure hunt!!! Do You think there is stuff from US that I could take along to possibly barter with?? Thanks! Excited to hear you're venturing to that part of the world. Have a fun time and share the experience when you get back! 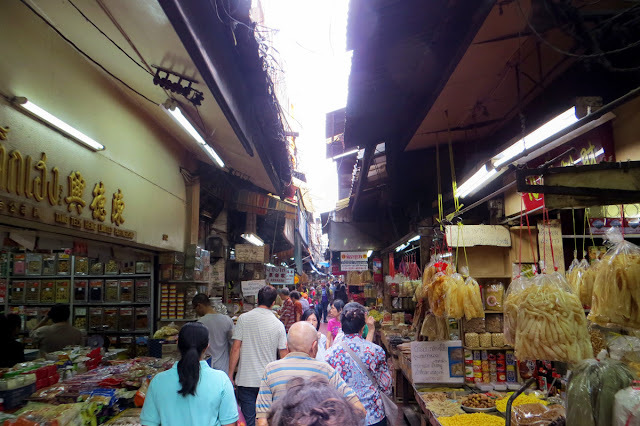 As for trade bartering, not sure that sort of thing was happening in the areas I visited. There were SO MANY bootlegs available for cheap prices, you're probably better off just buying them outright. Less work and less to carry. Although bartering might make for a better tale when you return home! I got wildly excited just reading this, thanks for bringing us along for the ride. 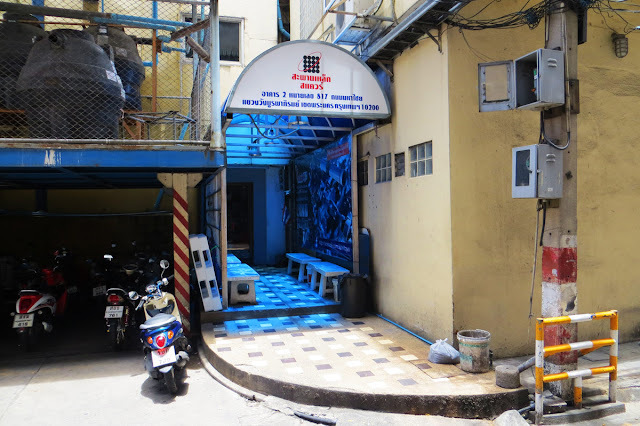 My wife and I are in Bangkok next month and staying in China town, do you think you can remember where that backstreet market was on a map? That's awesome! I'm very excited for you and your wife. You're going to have such a blast traveling there. Drop me an email or a direct message on Twitter/Facebook. I'll hook you up with the hot spots to go. 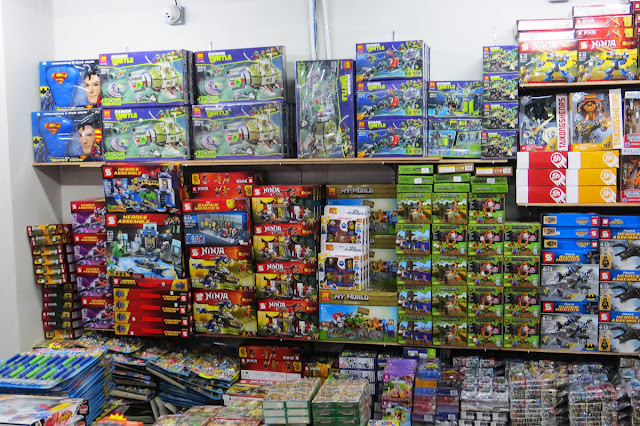 hihi i would like to know where to get the cheap cheap bootleg legos.wondering if you know which area sells the cheapest. Thanks. You get us all excited but fail to deliver on the location. Someone asked for the location, but is redirected to ask again on your facebook or twitter account. I dont want to wait days or weeks for a reply. Im inbthe city now and so excited to find the place. Feels more like showing off rather then inviting people to check out this location themselves. Please list the locations in your articles!